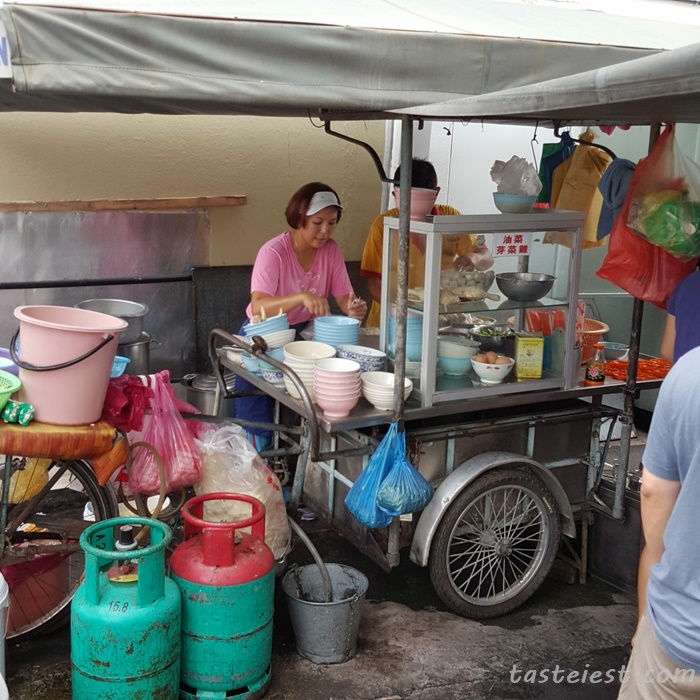 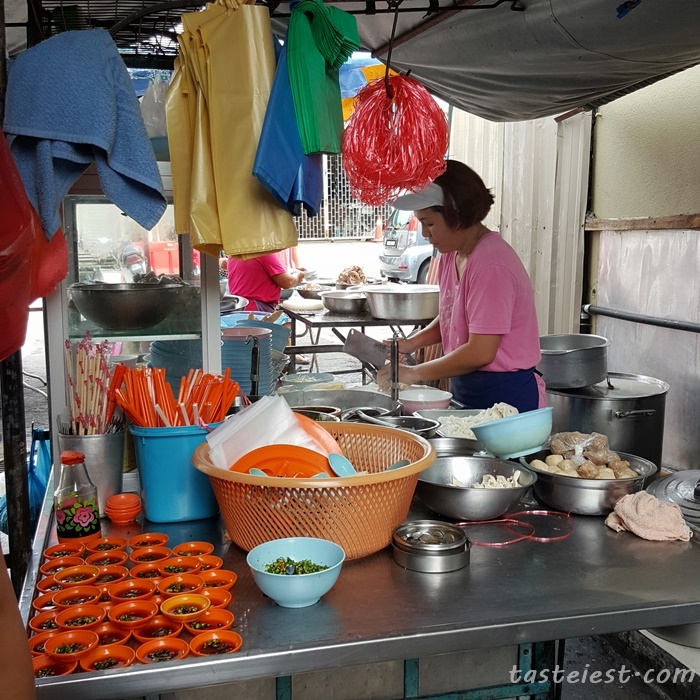 We are suffering to look for breakfast on every Sunday morning until my friends recommend this hawker that located at Lebuh Clarke in between Hutton Road and Argyll Road, available on morning session selling Koay Teow Thng. 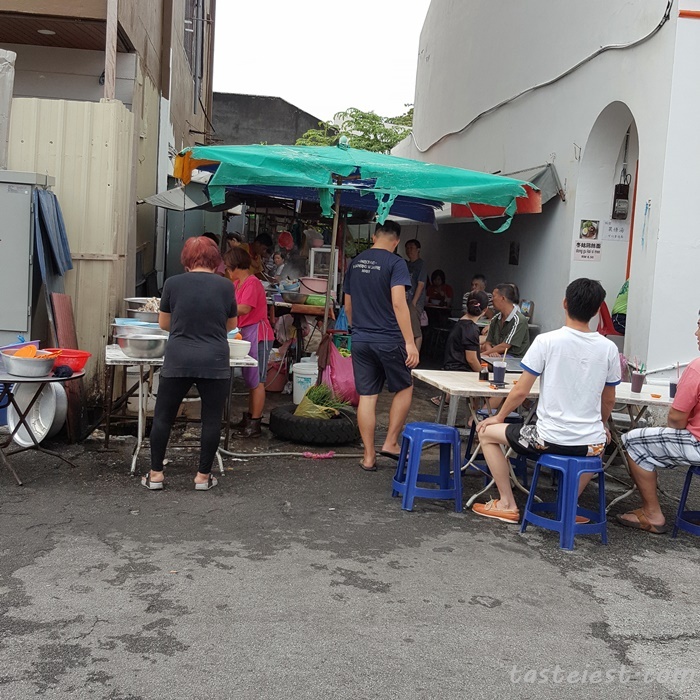 It hide in between a small alley between building but you can easily spot the crowd sitting at road side. 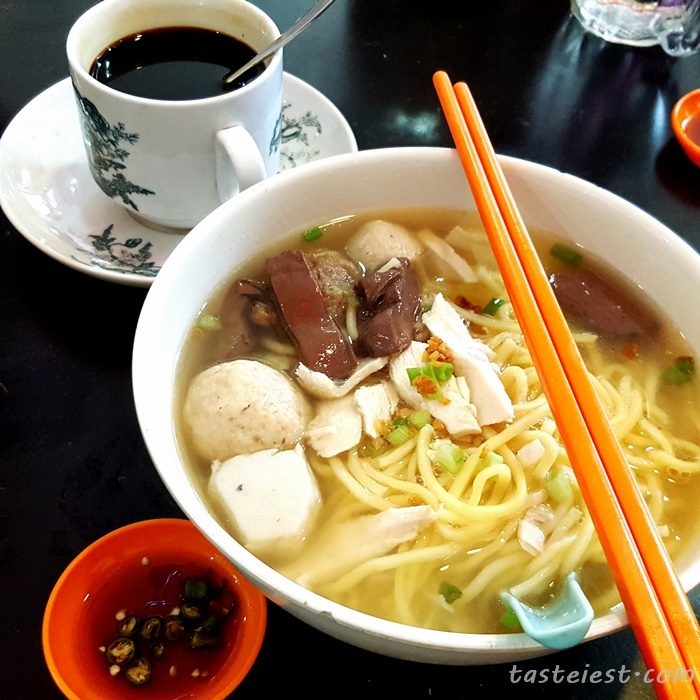 Four different type of fish ball are included which make them special compare to other Koay Teow Thng stall, other ingredients included are duck blood, chicken meat and spring onions. 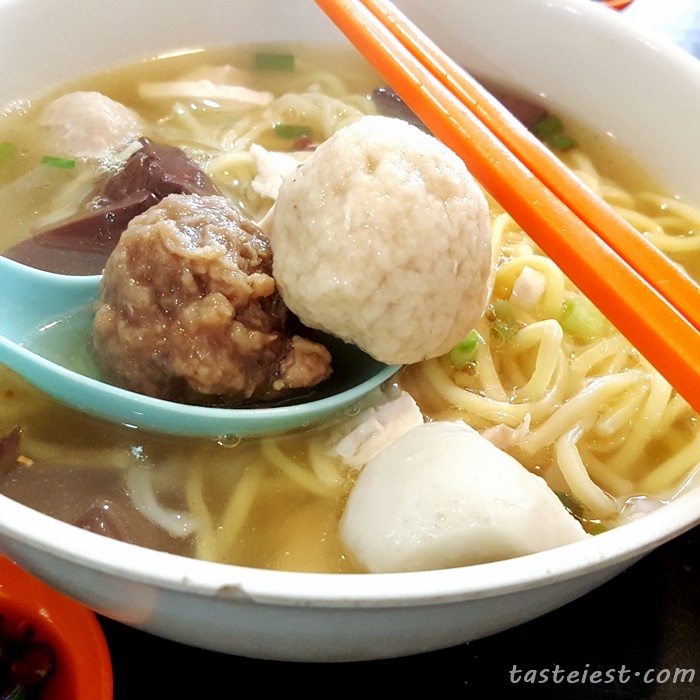 Soup are very clear but slightly lack of flavor, personally i prefer it to have more sweetness either from chicken or pork bone.